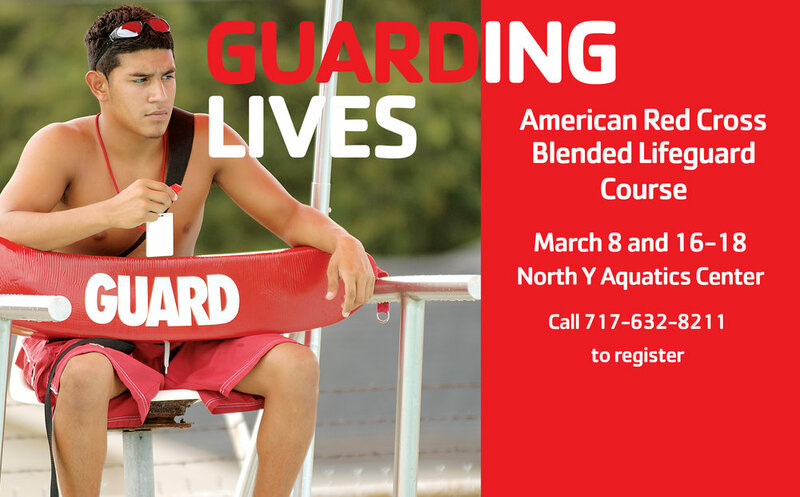 The Hanover Area YMCA is conducting a blended lifeguard course that will certify participants in lifeguarding, first aid, and CPR/AED training. Online training must be completed before training begins. All certifications are good for 2 years. All materials will be supplied, this includes; fanny pack, whistle, and CPR mask. 2) Tread water for 2 minutes with no hands (hands tucked under armpits). 3) Jump into the shallow end water, swim to 7ft and pick up 10lb. weight and swim back to shallow end with weight and get our ALL in less than 1 minute and 40 seconds. It's your chance to train YOUR Hanover Y Personal Trainer! You have the reigns- make them wall sit, plank, burpees, you name it! For $5 per Minutes you can make them do whatever training you want and also give back to our 2018 Kids Come First Annual Campaign. (Max 15 min). Just call 717-632-8211 X229 to book your time slot and YOUR Hanover YMCA Trainer of your choice! Start your session planning now and we'll see you on the 4th at our North YMCA location (500 George Street, Hanover). Join us for an afternoon of fun with the kids, ages 3-12! (Parents encouraged to join the little ones). 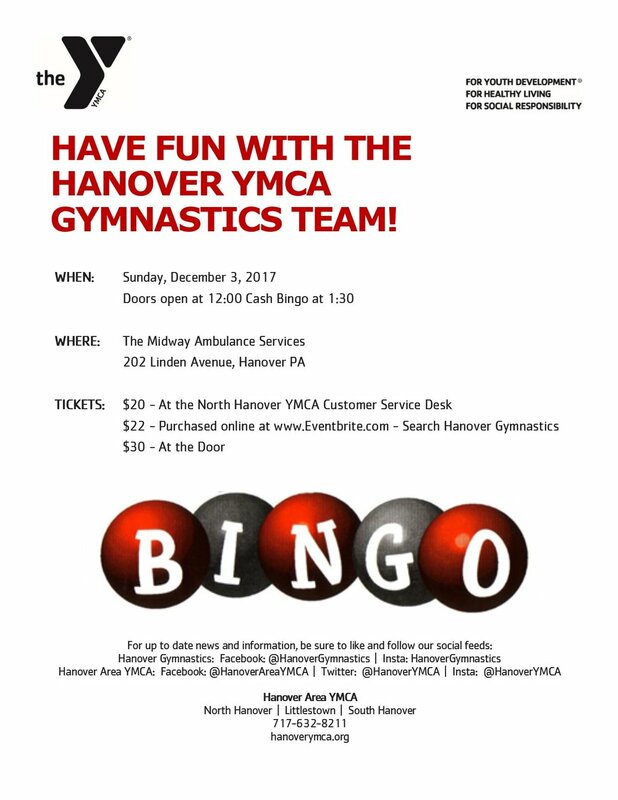 $5 entry fee and all proceeds go to the Hanover Area YMCA 2018 Kids Come First Annual Campaign! No need to register, just come on out! Ever want to try a new class, but weren't sure if you could do it? Or if it was right for you? Or weren't sure how to set up a bike or if you can learn the moves? Now is your chance! Dec 26- 30, the Hanover Area YMCA is hosting a full week of classes you can try out- for free! (non-members, member classes are always free!) 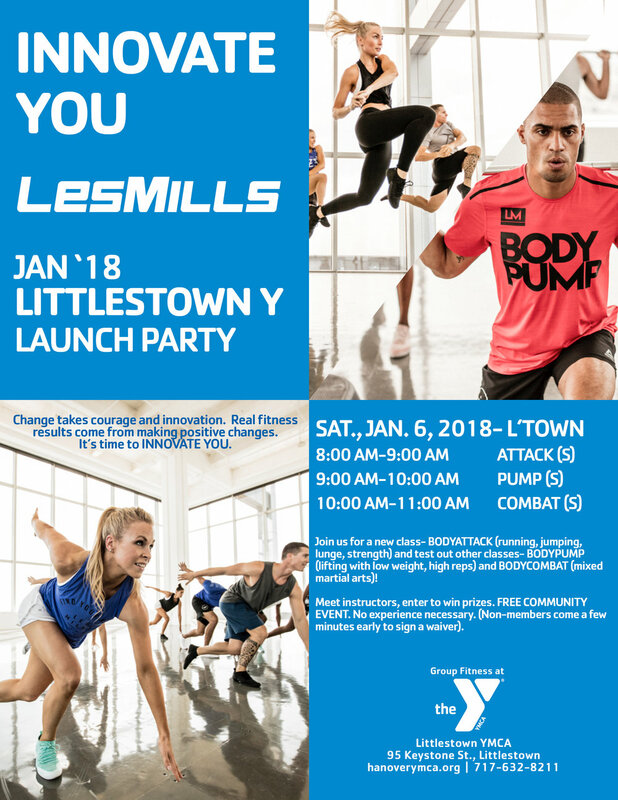 Join us, grab a friend and try out everything from Yoga to Piloxing, BODYPUMP to all new BODYATTACK! A full schedule of classes is below with times and location. Take one or take a bunch. Each class will be 45 minutes in length. Non- members, please drop in early to sign a wavier and grab a free day pass. Mark your calendars now! BODYCOMBAT, BODYPUMP, All NEW BODYATTACK, All NEW BODYFLOW, Cycle Senior Cycle, Silver&Fit, All NEW Pound, Turbo Kick, All NEW Kettlebell, HIIT, Power 60, Rope Burn, RIPPED, Chair Yoga, Yoga, Zumba! BURN the BIRD - Special Thanksgiving Workouts! Join us November 17th-19th for the 26th annual Tim Weaver Invitational at the Utz Arena at the York Expo Center! This event features over 1300 competitors from over 50 gymnastics clubs across the region, and 28 vendors including Alpha Factor, Team Photo, and Fine Designs. The Hanover YMCA Gymnastics team has been hosting the Tim Weaver Battlefield Invitational for over 20 years and is committed to fostering gymnastics, wellness, health, education, and community for gymnasts, their families, coaches, and officials in Pennsylvania, out of state, and outside the United States. So come watch some incredible gymnastics with us and cheer on your favorite teams and competitors! Tim Weaver Battlefield Invitational Hosted by Hanover Gymnastics and Hanover Area YMCA. Most swimmers don't know the proper technique that will allow for maximum performance. Learn from one of the FASTEST swimmers IN THE WORLD: two-time Olympian Cammile Adams! Scroll down for details on the curriculum. Space is VERY limited! Improve your butterfly stroke technique by learning from a butterfly Olympian at this unique swim clinic! Accelerate into each wall and then use your momentum to carry your speed through the turn and into your underwater dolphin kicking. The 5th stroke (underwater dolphin kicking) is essential to becoming an elite swimmer. Learn from two-time Olympian Cammile Adams how to breakout ahead of the competition! Underwater Dolphin Kicking: Absolutely, undeniably, the fastest way to move through the water and the MOST MISSED OPPORTUNITY for faster times! Let our Olympian clinician teach you how to make the most of your underwater kicking, as well as teach you drills on how to improve upon those skills. Strong and fluid undulations will allow you to blast through your underwater and pass up the competition. BREAKOUTS: Carrying the speed from your under waters into the first stroke is crucial for maintaining momentum. Learn the key components of a breakout that will make you more confident during a race! BODYCOMBAT Exclusive LAUNCH Class Times. Members and Non-Members welcome! Win great prizes and non-members enjoy great membership offers! Registration: $55 by August 31, 2017; $70 on or after September 1, 2017. 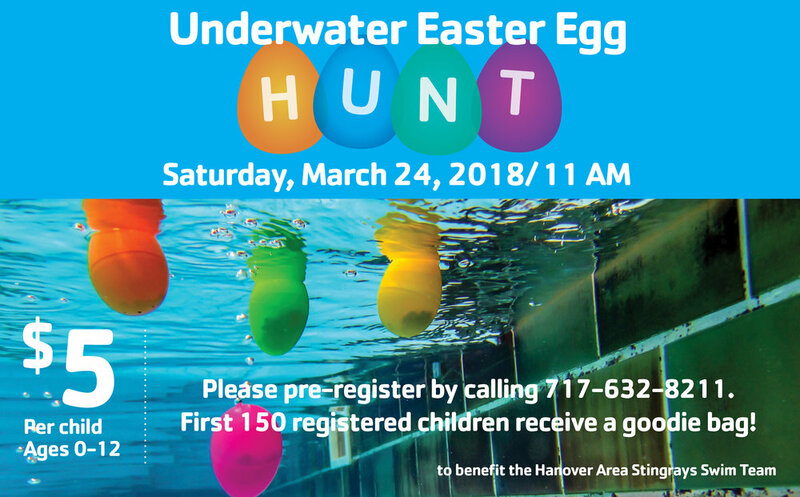 Register at any Hanover Area Y location or at pretzelcitysports.com. Join Hanover Hall and your Hanover Area YMCA for the 1st Annual Senior Expo at 500 George Street! We'll have live broadcast by 107.7 and a blood bank for donations. In addition, blood pressure screenings, vendors, and Swim and Group Fitness classes exclusively for our Active Older Adult community. Join us at the 4th Annual Utz Summer Bash! Well have fitness tracks, free giveaways and kids sports to demo! We're so excited to re-join Penn Township Police for their Annual Night Out 2017 at the Target Store on Wilson Ave on Aug 1, 2017. 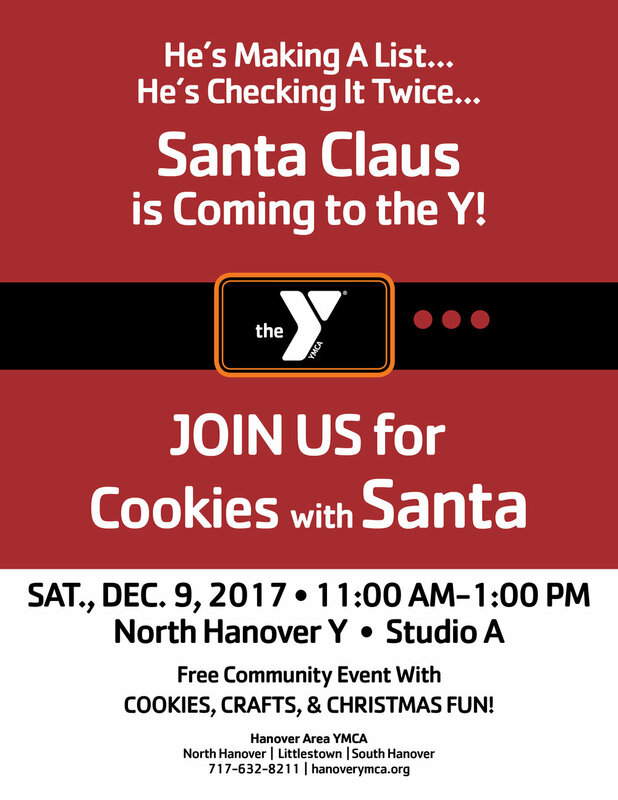 Your Hanover YMCA will be on hand with free giveaways, passes, demos and more!